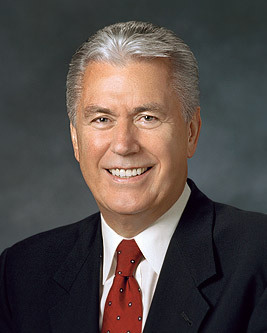 President David O. McKay said, “Every principle and ordinance of the gospel of Jesus Christ is significant and important … , but there is none more essential to the salvation of the human family than the divine and eternally operative principle [of] repentance” (Gospel Ideals , 13). Therefore, extending forgiveness is a precondition to receiving forgiveness.For our own good, we need the moral courage to forgive and to ask for forgiveness. Never is the soul nobler and more courageous than when we forgive. This includes forgiving ourselves.Each of us is under a divinely spoken obligation to reach out with pardon and mercy and to forgive one another. There is a great need for this Christlike attribute in our families, in our marriages, in our wards and stakes, in our communities, and in our nations. My dear brothers and sisters, my dear young friends, when the captain of a long-range jet passes the point of safe return, and the headwinds are too strong or the cruising altitudes too low, he might be forced to divert to an airport other than his planned destination. This is not so in our journey through life back to our heavenly home. Wherever you find yourselves on this journey through life, whatever trials you may face, there is always a point of safe return; there is always hope. You are the captain of your life, and God has prepared a plan to bring you safely back to Him, to your divine destination.The gift of the Atonement of Jesus Christ provides us at all times and at all places with the blessings of repentance and forgiveness. Because of this gift, the opportunity to make a safe return from the disastrous course of sin is available to all of us.